Scripps Mesa Storage has two facilities. 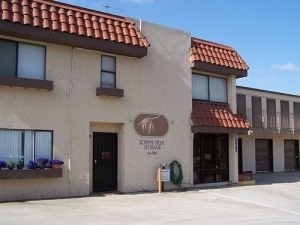 The Self-Storage at 9780 Candida St. San Diego 92126, unit access hours 7 am to 8 pm, every day. 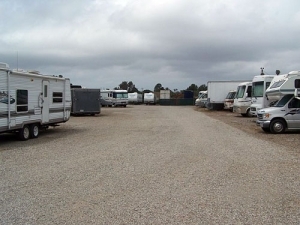 Outdoor RV and boat parking at 6980 Mission Gorge Rd. San Diego 92120 with 24-hour access, has an attendant but no office on site. RV location 15 miles from the self-storage facility. and Office. The process was quick and painless with no hidden fees. Staff was friendly and upfront about all information. I highly reccomend this place. It is the best priced place in town! Friendly. Easy. Least expensive in town. Faulty is surrounded by trees. Nice place to House your precious things. My things will be comfy and safe at this facility! Easy access and convenience hours. Affordable storage in SD with friendly staff. Simple, fast, and super easy! Great customer service, accommodating and very nice. Clean storage lockers and easy access!! Highly recommend! A little out of the way and the entry to the place is on a steep drive but staff is very friendly and helpful and the price is great. Very pleasant person at the front desk. Very helpful. Quick ,easy move in!! Nice people. Fast, secure, friendly and affordable! Ask about their moving-truck special* Thank you Find Storage Fast! Great info online with a rapid phone follow up and move in. storage, truck and as smile - Kathy is the bomb- we all have whatever reasons for needing storage and well, she was great in making the process easy. I now have all I need as I transition- a storage unit, a truck and I know it will be safe! Very nice storage area. Kathy is very friendly and helpful. She is really made the process of moving into the storage area very easy. Security is excellent and the main gate is amazing. Thank you for taking care of my things. Great service! A small and friendly enterprise that remembered that the customer is first. I have move here from a bad experence with a larger corporate storage company. The person to person response and handeling of my move was very helpful. Ann, an on-site manager was very helpful and did not forget me for a momemnt. Thanks Ann! Hope to stay here for a long time. Great value for the money and general experience was Great! I have never used a storage place before but thus far my experience has been very good. I got there and filled out the paperwork and was able to use the free truck for couple hours. All was moved in before 1:00 and I was on my way home. Kathy is a real professional and very kind. The people that work here are just the nicest people you would ever meet. They went above and beyond my expectations. I would definitely recommend them! Especially Kathy. She was great and had to accommodate me a number of times as I had to change my arrangements with the truck, the size, the date.. And all with a smile. Ann was very helpful and extremly pleasant. Whenever I had a question or concern she was there to answer everything. This place is with out a doubt, topnotch! I would recommend renting from this facility. It is located in a culdesack which makes this place much more private and secure. If I ever need storage again, I would diffenatley rent from Scripps Mesa Storage. Hands down, I enjoyed Ann's pleasant assistance. Thank you Ann and Scripps Mesa Storage. This has been the best storage facility we have used in our many years of moving country wide. The service is outstanding Kathy and Ann both are the friendliest and most helpful people we have ever met in this business. We have recommended them to others in our family and will continue to do so. Ann knows her stuff. She escorted me the area, showed me the elevator and explained the rules very clearly. Got the size unit I needed at a great price. 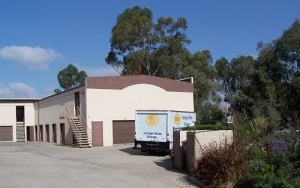 We have enjoyed the convenience and professionalism provided by Scripps Mesa Storage for the past seven years. It has been a pleasure to store our travel trailer with you. You have always acted courteously and resolved the few issues we have experienced quickly and to our satisfaction. Our lives were made easier by storing our unit with you. We will miss your excellent service and we thank you for years of terrific relations! I made an appointment online, then came in an hour later to fill out paperwork and move in right away. She gave me the sense that there is good security, and moving my stuff was not a problem. My first storage experience, and a positive one!